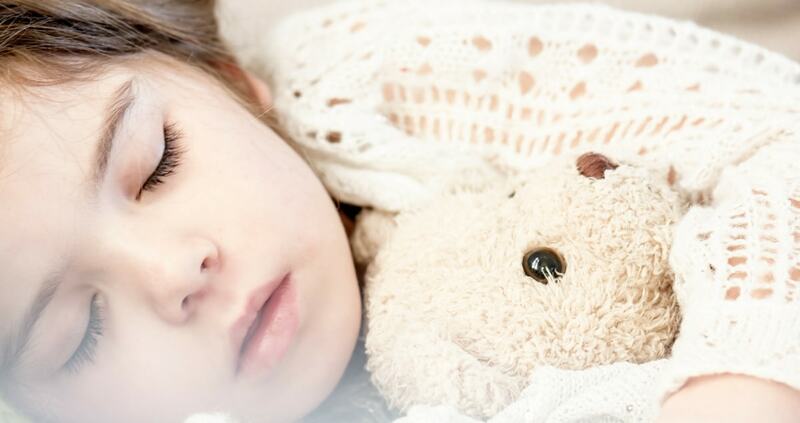 It can be notoriously difficult for children on the spectrum to get to sleep. What’s more, no one really knows why. Some believe it may be related to lower melatonin levels, or perhaps sensory issues, but even doctors do not fully understand what the issue may be. We have been fairly fortunate in that, although Biggest does wake fairly often, his rigidity of thought and strong routine means that he usually stays in bed. However, over the last few years we have found a few products and developed a few strategies that I believe have helped him get to this point. An autism friendly bedroom and bedtime routine may help some children with sleep difficulties but many parents may have tried everything, with little success. Although these tips have helped us, and may help some, there are others who may need to speak to their GP or Paediatrician if lack of sleep is affecting the family’s quality of life. Routine can have a hugely positive affect on all children. As it happens, my husband and I are very much creatures of habit and we cannot function without clear routines ourselves. Our approach will not work for every family, but many may find some of the things useful, and may be able to adapt them to suit their family life. A set time when the bedtime routine begins. We stick to this without fail. I can count the number of times Biggest has been up past his bedtime on one hand. There have been a few family parties, but that is it. If there is trouble settling, he is never allowed to get up and come downstairs. One of us will go to him, comfort him, if necessary, but the only times he had been allowed up is when he has been so ill that we need to see the out of hours doctor. This can be very tough at first. We spent many months and many evenings sitting with both the children. But, eventually, it has been very successful. The bedtime routine is exactly the same, every time. His sister goes up for her bath at 7 pm, he has a bath at 7.15 pm. He has a bath every single day. This may seem like more than is needed, and difficult to maintain, but we have found it is an excellent signal for him. He always has a bath at 7.15. He always goes to bed straight afterwards. The certainty gives him comfort and the sensory cues tell his body it is time to sleep soon. He gets out of the bath at 7.25 pm and goes straight into his darkened room with his autism friendly bedroom sensory aids (see later) switched on. I come in and say goodnight after settling his sister at around this point. We both have a script that we use, with goodnight phrases that are exactly the same every night. Matt tells him that he is our “super special little chap” and to make sure he “looks after teddy” in the night. I always ask “How much do I love you?”. Biggest’s response is “As much as the whole world” and I always answer “And even more than that gorgeous boy. Goodnight.” It is exactly the same, every night. By 7.30/7.35pm, he is left to fall sleep. 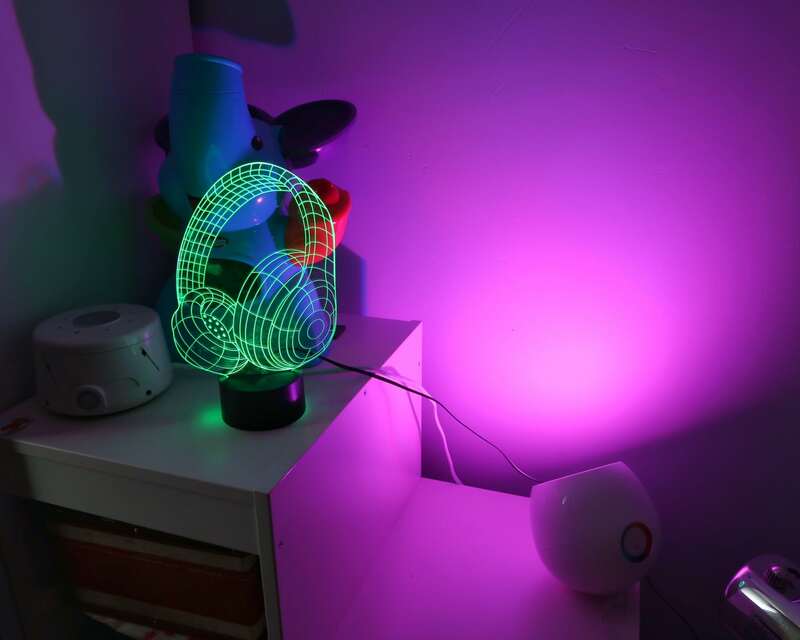 Our son is a sensory seeker and so he often needs light and sound to feel safe. Some of these products will not work for children who may need to reduce sensory stimulation to sleep. 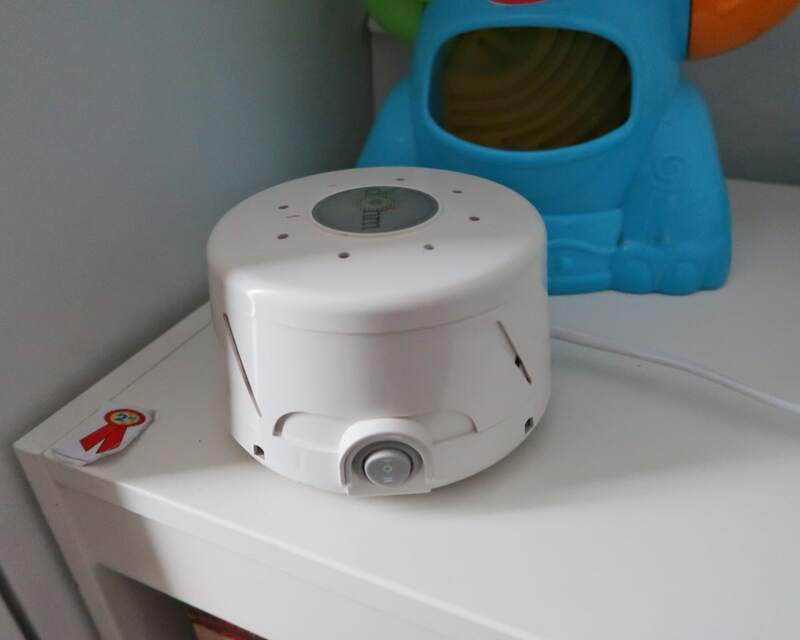 This white noise machine is absolutely brilliant. It creates a soothing sound of rushing air and has two speeds. Biggest’s greatest sensory need is for noise – he struggles to function without it. This machine makes a pleasant noise and comfortable background noise, where it might otherwise be too quiet for him. It is on the pricey side, at £59.51 at the time of writing. However, we got a special lightning deal and got it for half the price. If I needed a new one, I would pay full price in a heartbeat. It is invaluable to us. Biggest loves this lamp. He loves music and wears his wireless headphones daily. 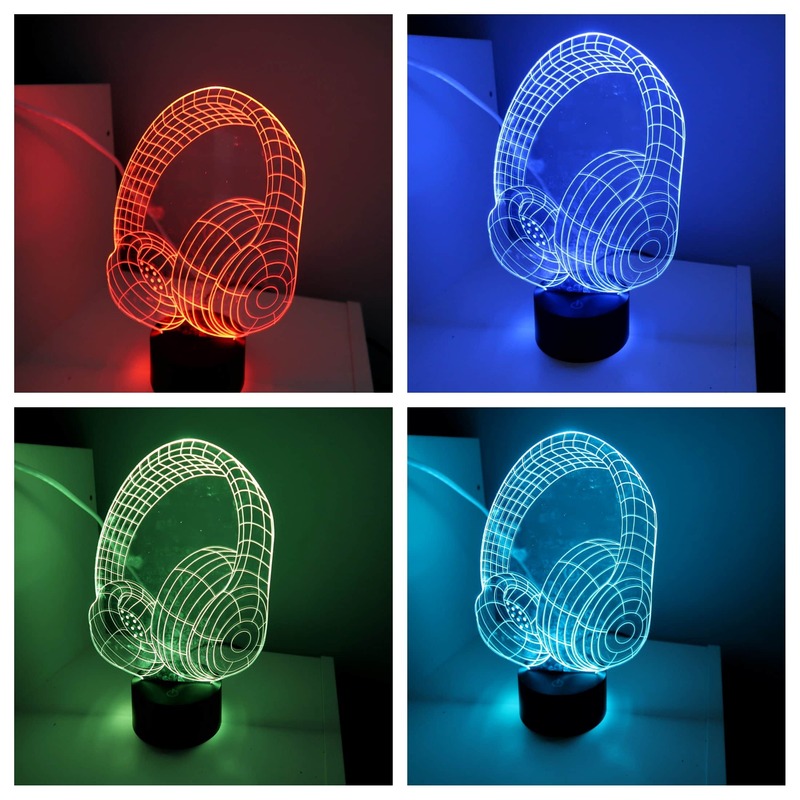 This lamp gives enough stimulation without making the room too bright, as well as giving a cool 3D effect and changing colour. Some parents will swear by this little device, others will say it doesn’t work at all. For Biggest, it is a huge part of his routine. The clock changes to a blue face with stars that count down the time until morning. 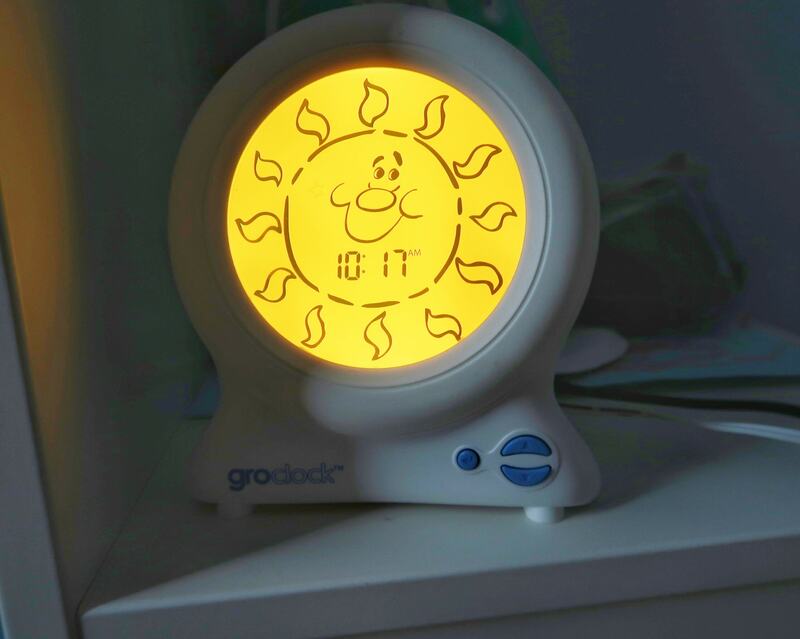 It then changes to a yellow face with sunshine when it is time to get up. (This time is set by the parent!) As he likes to stick to the rules, it really helps him to understand that, when the clock is blue, it is night time and he should try to sleep. This lamp (pictured in the bottom right) scrolls through every colour imaginable. You can also set it to stay on one colour. It is actually a lovely lamp for anyone and we often bring it downstairs and use it ourselves. 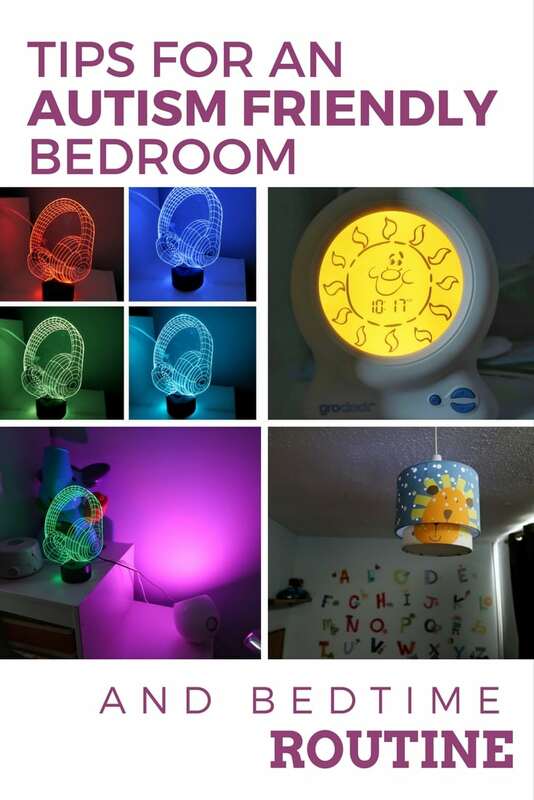 Again, it create light without making the room bright – perfect for a sensory sleeping experience and autism friendly bedroom. It may seem strange to have blackout blinds in a room full of various lamps and sensory light gadgets. 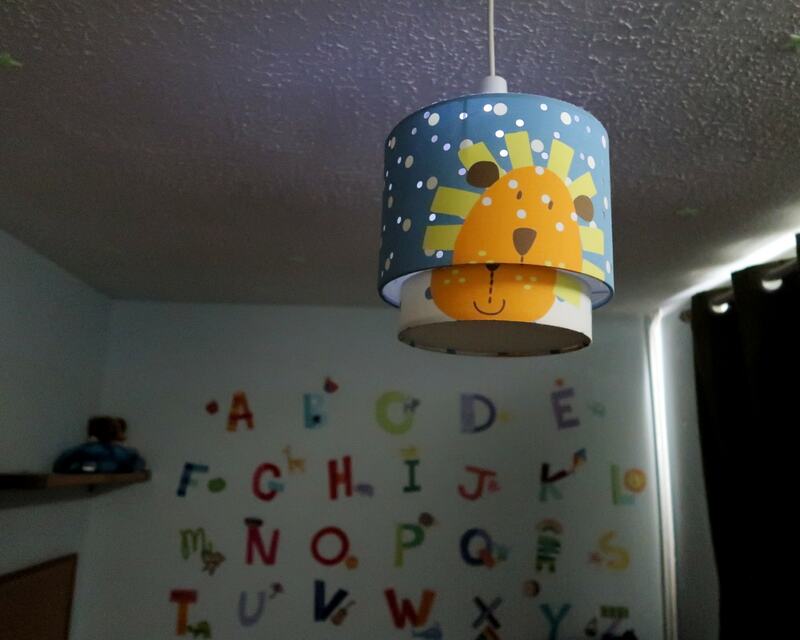 However, Biggest only uses one or two of the sensory lights and any time and his room is always much darker than daylight when he goes to bed. Darkness is an important part of stimulating melatonin, and so he has always gone into a darkened room at bedtime. Even his stories are read to him in the darkness. We use a combination of Gro blinds and Blackout curtains to ensure that his room remains dark in the Summer months. 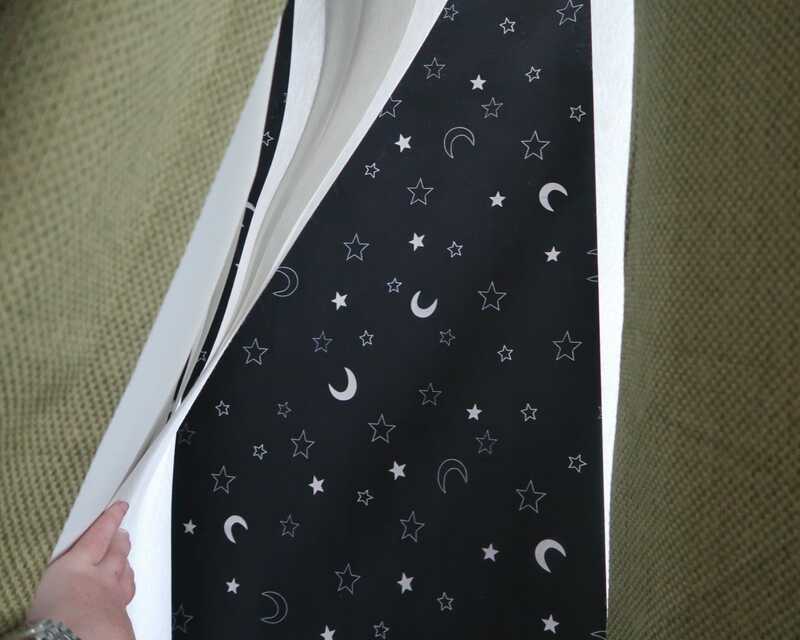 Glow-in-the-dark stars are another sensory light that satisfy Biggest’s sensory needs without making the room too bright. In addition, one of his obsessions is space, stars and planets. This means that, as well as being good for an autism friendly bedroom, he is particularly thrilled by them. This night light fits on to the bulb on the main light, meaning you can switch between night light mode and the normal light, just by flicking the normal light switch. It also emits a very subtle light, meaning it is light enough to just about make out objects, but not light enough to disturb sleep. Again, this is perfect for sensory seekers, or those who are afraid of the dark. These are the routines and bedtime aids that create an autism friendly bedroom and help all of us get a good night’s sleep. Hopefully they may be helpful ideas for some. Autism parents – How can I help my child’s teacher understand?